As many of you know, I now offer a *Group Coaching* option. This option is specifically designed for groups at the same level, trying to accomplish the same goals and willing to work together. Rather than one on one coaching, the group call will focus on the goals of the group, with 1/5th of the time spent answering an individuals questions. You will also get to see me solve or explain the other 4 individuals questions or concerns. The learning process is focused on the goal(s) of the group. I am honored to have been asked by Malika Duke of Get Paid To Prospect Online fame to join her on her Blog Talk Radio show today. 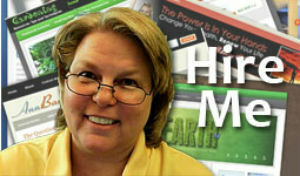 The subject is one near and dear to my heart, “Helping Newbies Get Started Online “. Since my focus has been (and remains) helping network marketers transition from the painful process of calling on friends and family, to the easier method of having interested prospects call them, I am excited to do this show.